The rules were not simple a century ago either. Canada welcomes about 300,000 newcomers each year. erhaps in the time of your father or your grandfather, an Englishman, Welshman or Scot could size up his or her lot in life, and come to the conclusion that either life could be better in the new world, or that life couldn’t get much worse. So you cashed in what you could, and booked passage to Canada. 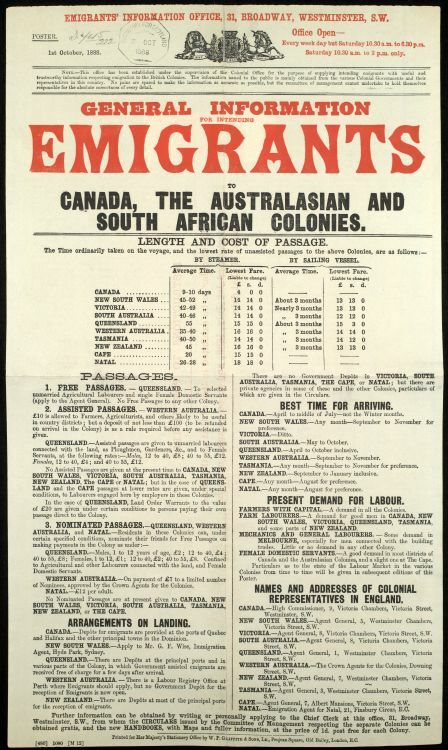 More than three million people made the voyage from the UK to Canada from the dawn of the 20th century to the onset of World War One, with additional waves following each of the 20th century’s two world wars. And Canada, among many other nations, is the better for it. This, however, is now. It is no longer that easy. 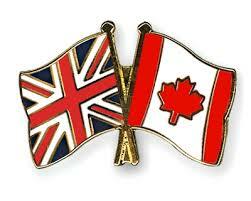 Folks who carry UK citizenship don’t need a visa to visit Canada, which helps you size up opportunities with a visit. To visit, you can book a flight and come. Emigration, however, is very different. When you decide to come to Canada to live, the UK is treated just like any other country in the world’s 21st century rules. You can spend a lot of money and unproductive time trying to figure out how to navigate the Canadian system, or you can get the help you need from an expert, and get your coveted Invitation to Apply in minimal time. What kind of newcomer does Canada need right now? The building trades; people with skills in agriculture; software programmers; the list is both extensive and specific. The bottom line hasn’t changed in a century. Canada needs people who want to move and become passionate Canadians. That might be you in the 21st century. However, time is never on your side. 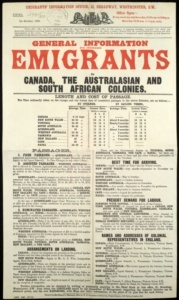 With each passing year, you lose ‘points’ required to qualify to emigrate to Canada. Procrastination is the biggest regret many of our clients have. The younger and more qualified you are in an occupation classification in demand in Canada, the better your chances of being accepted. Upper Canada Immigration Consultants works with people just like you. Upper Canada Immigration Consultants charges a fee for our services. For a fair price, we render quality services that do get results. For most of our clients the ‘opportunity gain’ they get in coming to Canada faster makes retaining us well worth while. We are coming to England in 2019: to meet interested folks from some or all of Liverpool, Leeds, Manchester and/or Sheffield. Maybe you’d like to meet one of our Consultants for an initial consultation. This initial consultation is inexpensive. It likely tells you what your chances are, and what type of application is likely to be successful for good candidates. Examples might be an industrial electrician; welder; medical laboratory technologist; medical sonographer; geological and mineral technologists and technicians; landscape and horticultural technicians and specialists; household and industrial electronic service technicians; industrial instrument technicians and mechanics; meat cutters; cabinet makers; machinists and so on. The list is extensive, and if you can answer, “Yeah, I do something like that,” you may be a good candidate to come to Canada. If you are experienced and trained in a regulated trade, and you have your license to practice in the United Kingdom, you need to have your credentials assessed in one or more Canadian provinces, and get permission to challenge the provincial exam to gain a certificate of qualification (C of Q). Once you get your C of Q, you are a big step toward coming to Canada. You need to check with us to determine whether your trade requires you to write an exam to obtain a certificate. Just like the individual states, Canadian provinces have an array of rules, and differing needs. You need to work with us to get your documents assessed. If you are a UK citizen, or legally living in the UK, and you are a skilled journey person or trades person, we can help you prepare to come to Canada, to either submit your trade assessment application or write the exams. As well, you will need to achieve a minimum score on a English or French language proficiency test. There is much more to it, of course, but if the above scenario fits you, you ought to contact us. You must first be legally entitled to live and work in Canada before you can attempt to become a member of a regulatory body in Canada, or provincial or territorial authority to practice your profession. Your best gateway to Canada is through the Express Entry system. To get into the Express Entry system, you’ll need to achieve a certain proficiency level in either English or French. All applicants for permanent residency to Canada must take an approved language proficiency test, achieve the minimum Canadian Language Benchmarks level and obtain a credential assessment of your academic certificates to their Canadian equivalency. We will help you arrange the prerequisite assessments. The Language tests are available across the United Kingdom. Upper Canada Immigration will help you focus on the right steps, in the right order, in the minimum amount of time. If you are serious, time is money, and the money you spend with us will get you permanently in Canada in the shortest time possible, assuming you work with us on a plan, and work your end of that plan. Obtaining your credential assessment report requires work from both you and us. Immigration Canada has designated a short list of organizations that perform this assessment. The rules are strict and inflexible. So let us help you. If you are living in the United Kingdom, and if you are not a UK citizen, and if you are unlikely to achieve legal status in the near future, you will be well advised to return to your country of origin, and pursue coming to Canada from the country in which you have legal status (i.e. in which you were either born or you are a citizen). It is impossible to apply to Canada for permanent residency if you lack legal status in the country from which you are applying. This doesn’t mean you cannot come to Canada. It does mean that you need to apply from a country in which you are legally entitled to reside. You need to have a specific plan, and apply from your home country or a country in which you are legally allowed to either work or live. If you have been deported, you face serious barriers in coming to Canada. You need to call us and start the dialogue. We can help you overcome barriers, and will guide you on each step along the way. Do I really need to take an English test? Yes. You would need to take the International English Language Testing System (IELTS) test. You would still need to take it even if you had your PhD in English literature from Oxford or Cambridge. And the test is no pushover, even if you do have impeccable English credentials. Everybody intending to come to Canada through one of Canada’s economic class programs must show internationally standardized fluency levels in English or French. I have family/friends in Canada. Can I look for a job when I visit? Meet with us while you are here, if you are visiting the Greater Toronto Area. We will discuss a workable plan for you to follow to enhance your chances of a successful application to come to Canada. Click to e-mail us. Or text message/ phone Andrea Seepersaud on WhatsApp at (647) 988-3846.